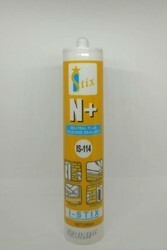 My-T-Sil 911 is a a self leveling acetoxy cure RTV silicone sealant it causes to a tough rubbery substrate when exposed to moisture in the air. - Generals purpose acetoxy silicone sealants for general applications available in translucent, Black & White colors. 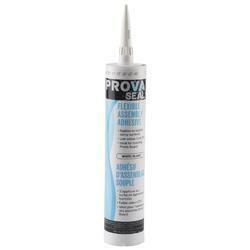 Asmaco 2650 is a single component neutral curing silicone sealant which vulcanizes on exposure to moisture in the air at room temperature to produce a flexible low modulus elastometric sealant. It has excellent adhesion to most common building materials like glass , glazed surface, painted wood, aluminium and other matels. We have a wide distribution network which aids us in efficiently meeting the bulk and immediate demands of clients for our provided range of 1010 Resibond Acetic Cure Silicone.